It's four foot down under a mountain of crap. He's never seeing that hard drive again. Have you ever had that moment when you're about to do something, and there's something in the back of your mind screaming "no! NO! DON'T!' Welshman James Howells had a moment just like that back in July, when he decided to throw out an old hard drive he no longer needed. Later he wondered, was that the hard drive that had my digital Bitcoin wallet key? The one with 7,500 Bitcoins I mined back in 2009, when it was easy to do and they weren't worth much? It was. Guess where it is now? Gone forever, that's where it is now. Theoretically it could be recovered from the landfill where it ended up. It's about 3 or 4 feet down, in a space as big as a football field, under a layer of every single other thing people threw in the garbage since July. "Even for the police to find something, they need a team of 15 guys, two diggers, and all the personal protection equipment," says Howells. "So for me to fund that, it's not possible without the guarantee of money at the end." 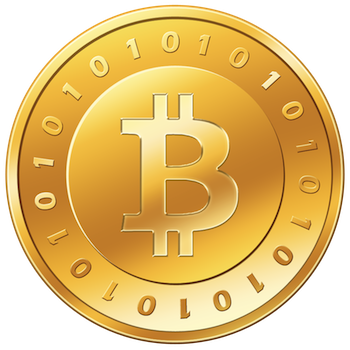 Bitcoins are currently worth something in the region of $971 per coin. Howell's hoard would be about $7,282,500, give or take a couple of zeroes. The hard drive contained the encrypted private key needed to access his wallet and spend the Bitcoins, and he didn't keep a backup. "I've searched high and low," he says. "I've tried to retrieve files from all of my USB sticks, from all of my hard drives. I've tried everything just in case I had a backup file, or had copied it by accident. And ... nothing." He's resigned to not getting his Bitcoins back. Before you set off, shovel in hand, his local council has already said it isn't letting treasure hunters crawl all over its garbage. If it was easily retrieved, that would be different, but four foot down somewhere in a space the size of a football field is nobody's definition of easy. Besides, there's no guarantee the drive is readable, after the hard treatment it must have had. Easy come, easy go. Let this be a lesson to us all: back up. Back up as if you life, or your fortune, depended on it.